Access, although downplayed, can be a source when it is compromised. As a homeowner or business proprietor, the value of seamless access to your property cannot be understated. It is imperative that at all times, you have control of your access needs, 24 hours a day. Unfortunately, sometimes locks fail to work as they should. It is impossible to anticipate the exact time a lock will fail to work. Mobile locksmiths in American Local Locksmith have created a niche in dealing with such matters. For as long as they have existed, mobile locksmiths have perfected the art of saving residents both time and money when they encounter a problem with a lock. Being locked out of your house can be both frustrating and unsafe. 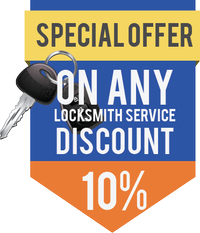 Mobile locksmiths at American Local Locksmith are available at any time for lock replacement, repair or rekeying. Under their belt, they possess a range of skills that enables them to address any lock mishap whenever you call. Apart from getting locked out, security is a vital part of a good home. Having the proper lock guarantees that all your belongings are safe even when you are away. A mobile locksmith will even attend to you on short notice to make sure your home security is more robust. Your business is an asset not only to you but to any person that it serves as well. As such, it attracts lots of traffic. The in and out nature of the business may deteriorate the state of your locks. Mobile locksmiths at American Local Locksmith are experts in assessing the current status of the lock and recommending appropriate measures. Business owners have made mobile locksmiths an extension of the business community on account of their availability. Your car is possibly one of your most valuable assets. It gives you increased mobility so you can conduct your business easily. However, the car lock gets faulty. When this happens, you safety may come into question. Furthermore, there is the added frustration of having to figure out a way to get back into your car. Calling American Local Locksmith saves you the stress of delays and the risk of insecurity if you are far. Why Should You Use a Mobile Locksmith? Emergency has a tendency of occurring at the worst times. If it is not attended to, a lock mishap can spell doom for your home or business. Mobile locksmiths from American Local Locksmith are available to you 24 hours a day whenever you require assistance.